On June 23, a Taiwanese soccer team went into the Tham Luang caves, only to be trapped by multiple monsoons for nearly a three-week ordeal until finally on July 10th when they were freed. The team was rescued by a complex method where the kids were taught how to dive, attached to two divers by a thin rope and were lead out. The rescue came as a miracle. However, tragedy struck with the death of Petty Officer Saman Gunan who lost consciousness on his way out of the caves while delivering air tanks. Tributes from Thailand and around the world have poured in for the family of Saman, who was a triathlete and diver who retired from the military in 2006 and worked at Bangkok’s Suvarnabhumi airport before volunteering to help with the rescue. The rescue also came with controversy too when Elon Musk, owner of Tesla, began a war of words with Vernon Unsworth, a British diver involved in the cave rescue. Unsworth mocked Musk’s efforts to aid in the cave rescue by building a miniature submarine, calling it a “PR stunt” as well as saying “it had absolutely no chance of working,” noting that the device would not have been able to navigate corners and obstacles given how rigid it was. 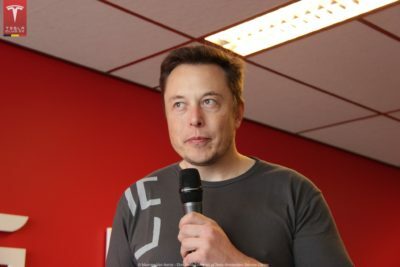 Musk had been talking about the submarine with Richard Stanton, who co-led the dive rescue team, yet received negative feedback from others, claiming that his intentions were solely based on money. Following the interview with Vernon Unsworth, Musk went on Twitter to vent about his missed opportunity. “We will make one of the mini-sub/pod going all the way to Cave 5 no problemo. Sorry pedo guy, you really did ask for it,” the tweet read. The tweet was then deleted. Tesla’s stock value has risen since the apology was given.